Told in Macfarlane's distinctive voice, "The Old Ways" folds together natural history, cartography, geology, archaeology and literature. His walks take him from the chalk downs of England to the bird islands of the Scottish northwest, from Palestine to the sacred landscapes of Spain and the Himalayas. Along the way he crosses paths with walkers of many kinds wanderers, pilgrims, guides, and artists. Above all this is a book about walking as a journey inward and the subtle ways we are shaped by the landscapes through which we move. Macfarlane discovers that paths offer not just a means of traversing space, but of feeling, knowing, and thinking. 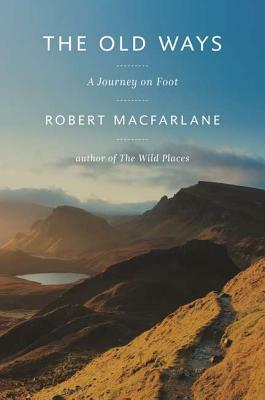 Robert Macfarlane is the author of the prize-winning books "Mountains of the Mind" and "The Wild Places," both of which were "New York Times" Notable Books. He has contributed to "Harper s, Granta, The Observer, The Times Literary Supplement, " and the "London Review of Books." He is a Fellow of Emmanuel College, Cambridge."